Welcome back to the ol' bloggo! Today I'm really excited to introduce a new Kaylee stamp for you to play with. It's been a little while since we've had a new Kaylee and truth be told, she's one of my favourites! Cute, right?! I thought it'd be fun to try a monochromatic look--it was so fun to colour! She looks so warm and cozy in her adorable outfit--I want a scarf with pompoms! Ok, so I hope you'll stop by the Some Odd Girl blog to check out the DT work--they knocked it outta the park again this release! The two new stamp sets we're releasing this week, as well as the new paper pad Sunshine Sorbet AND the wood veneer and sequins, are all available for purchase in the shop RIGHT NOW! Quick! Get over there! See you tomorrow for the next stamp set we're releasing! 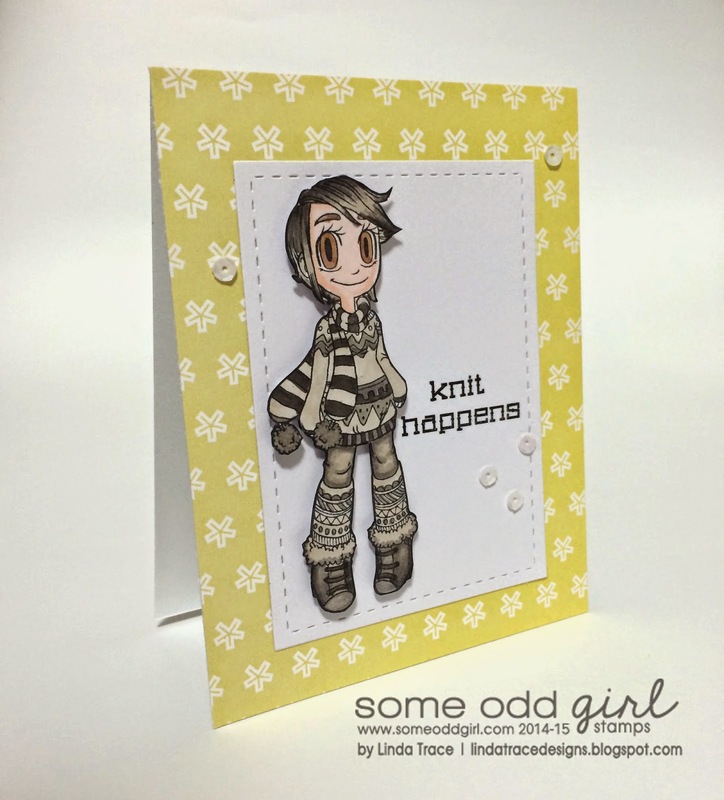 Love this card - the greyish colored image is fab with the yellow paper! DIGI ME contest with Some Odd Girl! Saturated Canary: colouring on kraft! September Create a Smile Release BLOG HOP!